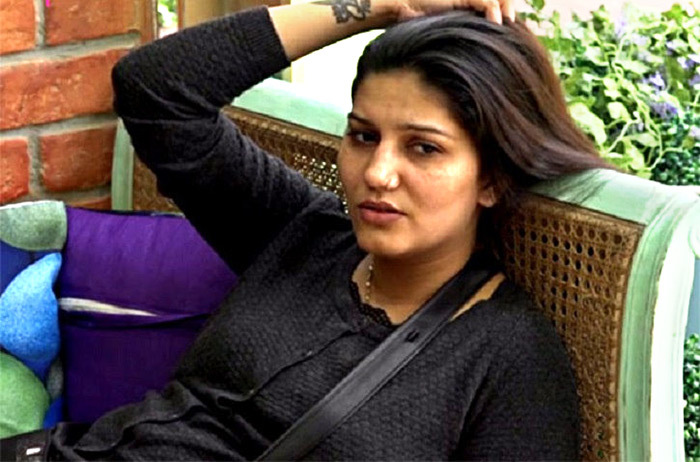 Former Bigg Boss contestant Nithibha Kaul decodes the contestants on the current season. IMAGE: Nitibha Kaul and Lopamudra Raut in Bigg Boss 10. Nithibha Kaul was part of Bigg Boss 10. She has been watching the current season and feels there is a lot of negativity in the house. "The atmosphere is tense," she says. "There is very little genuine love. There is no connection -- either they are fighting, shouting or screaming." "The best thing about this season is that everyone is competitive, willing to do tasks and putting in their heart and soul into everything," she adds. "The bad part is because they are so competitive, they are insulting each other, doing negative things and unable to form bonds. That's quite sad," she says. Are the commoners trying to put down the celebrities? "In our season, the concept was commoners versus celebrities," Nitibha says. "We had no choice but to do the tasks against the celebs. But in the current season, everyone is considered to be a member of the house. This time, it's less of a divide -- it's less of commoners versus celebs and more of human versus human." "They are not really thinking, just fighting like cats and dogs." Hina Khan is bossy. She has an opinion on everything and interferes everywhere. She wants to be a part of every conversation and every fight. That doesn't show highly of someone, who has been in the industry for so long. She should show more maturity and grace. She should be calmer and react less towards things. Let the negative people be portrayed as negative, but someone who can be positive like her is being shown negative. Sapna is playing a smart game because she doesn't fight for no reason. At the same time, she doesn't take s*** either, and gives it back. I had a similar attitude. I wouldn't participate too much in everything, but when someone said something wrong to me, I would give a befitting reply. I like Sapna because she has a no-nonsense attitude and doesn't do random or weird things to grab attention. Hiten has maintained his class and dignity. He is one of my favourite contestants. They have got a lot of hate from fans, especially after videos of their scandalous conversations came out. If they are faking their love, it's shameful. It's also embarrassing for both families to watch their PDA on national television. They should be mature and think about their actions. They should see what kind of public perception they are leaving. There are people who will judge them for their PDA. They need to control their emotions. Bigg Boss 11: All the Action, HERE!